Free Panera “Pick Two” in CO, KY and OH. Free Meal at Panera! (But Only in 3 States…) Winter days call for soup, a warm fire and good friends. And free meals. This is a cool application Panera has launched that lets you invite a friend out to eat, and secure one of your meals for free. If you live in or near Colorado, Kentucky or Ohio, log on to invite a friend or friends to meet you at the Panera location you choose, and they’ll get a BOGO free coupon for one of Panera’s “You Pick Two” meals. The coupon’s only good for the day of your invite, and the offer only holds through February. Here’s hoping this catches on and spreads to Paneras across the land! More Info! You can get a FREE 10 Day supply of bareMinerals matte or original foundation, with any purchase at Sephora. Okay, I must admit, I save money on my groceries so I can afford other things I need like SHOES…not in excess of course and ALWAYS on sale. DSW Shoe Warehouse is having a sale and they are giving away 1000 points. 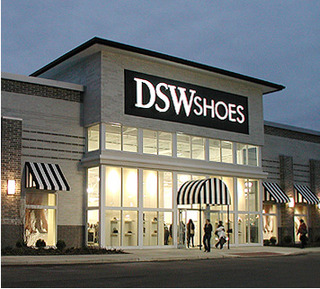 Here is link to get a printable coupon to take with you to DSW. Also if you use the code on-line it’s LUVPTS. There is an additional 50% off clearance as well use promotion code 50CLEAR. This sale ends January 18. You have to have a DSW membership card it’s a free registration. And you can get monies for college through Upromise! I am so psyched! I wanted to give you this printable coupon if you haven’t tried this already. It’s sweetened with stevia and it’s great for people watching their glycemic index. You can use this at Whole Foods, they may not have them as singles in the grocery aisle, but just ask someone and they will get one for you. You can also get a printable for their regular Iced Tea. It’s a buy one get one FREE printable. Great for use at Target and I use it at Earth Fare. It’s free to subscribe and it contains information about organic living and manufacturer coupons as well. You’ll receive four free issues per year— January, April, July, and October. Here is the link to subscribe.